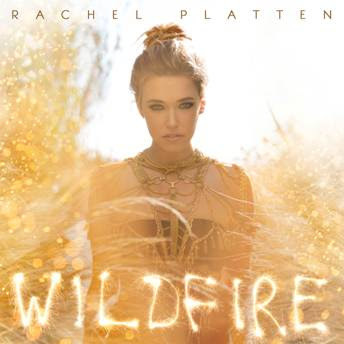 Discussions Magazine Music Blog: RACHEL PLATTEN/Wildfire - Album available January 1st, 2016! RACHEL PLATTEN/Wildfire - Album available January 1st, 2016! Acclaimed singer/songwriter Rachel Platten has announced details of her wildly anticipated new album, Wildfire. Featuring current single “Stand By You”—which Rachel performed just last week at the Macy’s Thanksgiving Day Parade—as well as the chart-topping, triple platinum-selling hit single “Fight Song,” Wildfire will be available everywhere Friday, January 1 via Columbia Records. “After a decade of trying to find my path in music I started to believe it would never happen for me. The thing that kept me going was the one-on-one connections with listeners - no matter how many or how few. These connections sparked my fire that fueled me to write this album. Wildfire is for everyone who ever believed in me,” says Rachel. Rachel will make her debut on The Ellen DeGeneres Show today, December 3, performing both “Stand By You” and “Fight Song.” Check your local listings and visit www.ellentv.com for more. On Tuesday, Rachel connected with 12 of her biggest fans via Twitter to unveil the track listing for Wildfire. Every hour on the hour, Rachel retweeted a fan’s post of an image of a song title with the hashtag #WeAreTheWildfire, culminating with all 12 album tracks revealed exclusively through her fans. Last month, Rachel also took to her socials to not only thank her fans for their incredible support but to also request fans send in photos of themselves, to be used in a very special way in the Wildfire album booklet. Read Rachel’s note to fans, and view the full tracklisting below. Tickets for Rachel’s first-ever headline tour, “The Wildfire Tour,” are on sale starting today. The tour, featuring special guest opener Eric Hutchinson, kicks off February 26 in Dallas and crisscrosses North America with a final show at Los Angeles’ El Rey Theatre on April 5. See below for a full list of dates, and visit www.rachelplatten.com/tour to purchase tickets. “Stand By You” is proving to be another hit for Rachel as it's approaching Top 10 at Adult Pop radio, charting at Pop radio, and commanding over 25 million in radio audience per week. And this week marks even more milestones for “Fight Song,” with the official music video surpassing more than 100 million views on YouTube, Spotify streams approaching 100 million, and the track now achieving triple-platinum status in the U.S. Overseas, “Fight Song” has reached Top 5 on singles charts in the U.K., Australia, and Canada, while earning double platinum status in Australia and Canada and platinum status in New Zealand and South Africa.